Chapter 6 International standards: Key to unlocking the value of green buildings? Chapter 8 Existing building retrofits: Economic payoff. Chapter 21 Scaling up commercial property energy retrofitting: What needs to be done? Abdullah Alhamoudi and Peter Lee. 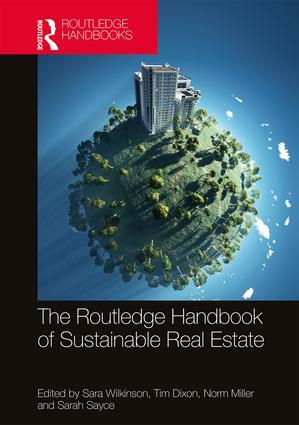 Chapter 26 Sustainable real estate: Where to next? Green Roofs and Walls for RICS practitioners. 100 papers and books in the field. UK, where for many years she was Head of School of Surveying and Planning. She is also a visiting academic to City, London and Reading Universities. highly cited papers on sustainability, workplace trends, housing, valuation and forecasting. academics and industry Professionals in a think tank setting.